Winners of “Diamond grants”, awarded yearly by the Minister of Science and Higher Education, receive money for their own research (maximum 220 thousand PLN), including their own remuneration – up to 2.5 thousand monthly. They can also shorten their career path by obtaining their PhD without the need to get receive the MSc title first. This year the grants went to two students of the Faculty of Biotechnology and Food Science – Karolina Tkacz and Igor Turkiewicz. Their supervisor is Professor Aneta Wojdyło. Natural resources are more and more often used to produce functional food which can modulate the state of human body. Sandthorn is rarely used in industry but it ideally fits this trend – it contains many biologically active substances and, in comparison to other fruit, it is rich in fat. Unfortunately it’s rather sour in taste and in liquid products it has a tendency to separate into two phases. 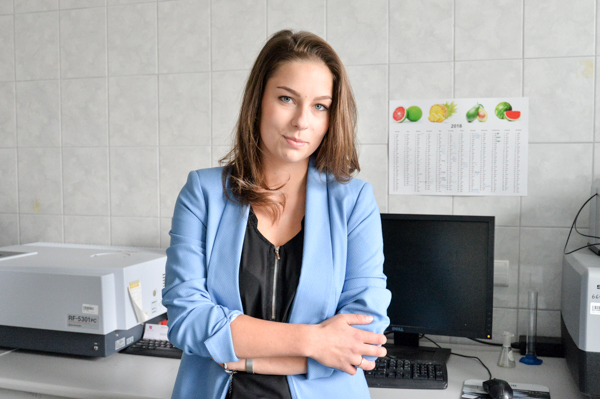 That’s why I want to come up with a product based on common sea buckthorn that is both functional and tasty – explains Karolina Tkacz who, in the initial stages of the research, will choose the most promising variety of sea buckthorn and then will go on to deacidify it. The key issue is to select an appropriate strain of bacteria and the conditions of malolactic fermentation which will affect the final taste of the fruit. Similar products existing on the market contain only a several-percent addition of sea buckthorn. In the product which the WUELS student wants to create, there will be up to 75%. - One of the most interesting tasks of both mine and Igor’s projects will be to create a simulation of human digestive system. Such an in vitro model will allow us to examine bioavailability and absorption of bioactive juices. The gastrointestinal tract may function as an extractor in which phytonutrients are progressively released so after every stage it will be possible to thoroughly examine the extent of the changes. Moreover, there is an increasing number of neurodegenerative illnesses, a tendency closely connected with the growing of number of people in post-working age. It is forecast, for example, that in 2050 the Alzheimer’s disease will affect 1 out of 85 people. That’s why, in the final stage of the project, the obtained juices will be evaluated with regard to their ability to impair cholinesterase which may lead to the increase of the concentration of an important neurotransmitter – acetylcholine and decrease the risk or progress of neurodegenerative changes. Positive results of the analysis will thus allow us to apply some juices in prevention and therapy of age-related diseases – sums up Karolina Tkacz. 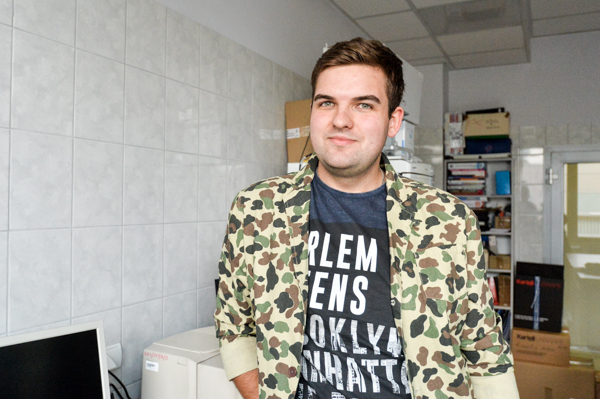 Igor Turkiewicz is also going to research natural products which could help tackle civilization diseases. His focus, however, will be on quince fruit. The most important strategy of prevention and treatment of civilization diseases, including type II diabetes is conscious approach to diet through ensuring appropriate supply of nutrients with special focus on biologically active substances, as well as leading active lifestyle. Thus the aim of my research which I will carry out within the “Diamond Grant” is determining and utilizing the bioactive potential of quince by creating microcapsules with its polyphenolic fraction. This will enable us to limit its degradation in human organism and increase its bioavailability – explains the student. In the end, a functional drink based on fruit juice will be designed with pre-programmed health properties. Using a simulated human digestive system (in vitro) will make it possible to determine assimilability and absorbability of polyphenolic compounds. The aim is to supply every product with properties connected with prevention and therapy of metabolic illnesses including diabetes.